A massive diplomatic row has broken out between Paris and Rome over a meeting between Italian Deputy Prime Minister Luigi Di Maio and activists of the ‘yellow-vest’ movement, which has spawned protests for three months over falling standards of living for the working and middle classes in France. 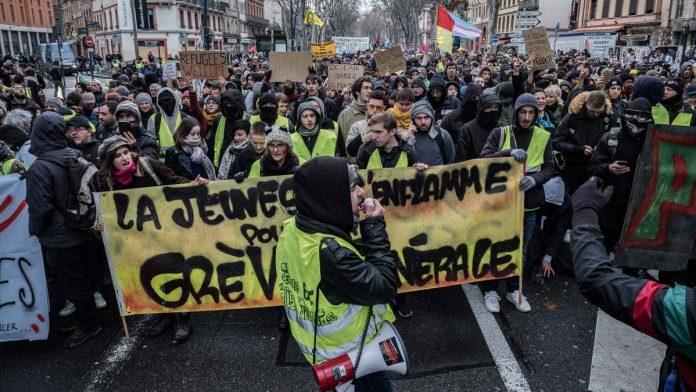 In an unprecedented move, France registered its protest by calling back its ambassador to Italy and accusing Rome of interfering in French politics. Over the past year, France President Emmanuel Macron has become an easy target for anti-establishment and populist parties across Europe. The prime reason for this is his extremely pro-European rhetoric and policies. Macron’s election as President in 2017 was seen as the strongest evidence of some resistance against rising populism. And ever since his election, Macron has emerged as the poster boy for a stronger European Union (EU) in the face of rising ‘Eurosceptic’ parties. Italy is currently being ruled by a coalition of the Far-Left party, Five Star Movement, and League, which swings Far Right. And much like other ‘Eurosceptic’ parties, they have constantly targeted Macron to please their base. While the Italian duo has targeted Macron for quite some time, the attacks have intensified recently. This is because the key legislative body of the EU, the European Parliament, is scheduled to have its elections in a few months from now. Dominant political parties across EU member-states have traditionally treated European Parliament elections as a second-order election. As a consequence, the European Parliament has generally featured a good share of Eurosceptic candidates. France interprets the recent anti-Macron rhetoric by Italy’s Deputy Prime Ministers, Matteo Salvini and Luigi Di Maio, as pure electioneering. For Salvini and his League party, Macron’s Far-Right domestic opponent, National Rally of Marine Le Pen, is a natural ally. Similarly, for Maio and his Five Star Movement, the anti-establishment yellow-vest activists are natural allies. How serious are these developments? It is highly unusual for EU member-states to recall ambassadors. The whole culture of governance at the EU level is based on very robust principles of unanimity. Rarely are decisions taken that require voting. This is because decisions are only taken after every single member-state is on board and unanimously accepts the decision. In such a cooperative culture of inter-state relations, the scale of this recent diplomatic row is unprecedented. Diplomatic disagreements rarely escalate to such levels. While this may be a little provocative, given the historical context, it seems to be a fair assessment. France and Italy were two of the six founding members of the Treaty of Rome back in 1957. The treaty is treated as the real institutional precursor to today’s European Union. It is a well-known fact that the key purpose of establishing a European Union in the post-war era was to ensure European peace. The scale of destruction incurred during World War II compelled European states to integrate themselves in a fashion that would ensure lasting peace. Unfortunately, the rise of populist parties across Europe and their myopic political objectives might be threatening that objective.